Rest in peace, Google SERPs. Though we had our share of ups and downs, I knew you like the back of my hand. We had a good run, but alas, it’s a new era. Love it or hate it, it’s time to pick up the pieces and move on. If you haven’t noticed yet, the Google SERPs as we know it are gone. Upon first glance, it still has a familiar feel, but everything is different. Very different. One of the many changes that rolled out recently is Google Instant Previews, a visual preview pop-up of a website on the SERP before you click through. And it looks as though Previews is improving click-through rates directly from the SERP. In fact, recent testing by Google shows Previews makes searchers 5 percent more likely to be satisfied with the results they click. Five percent improvement is significant enough to expect more changes to come. There is a strong possibility that query results will begin to be served in large part from the outcome of the selections made from Google Instant Previews. Serving intent-targeted results could become a defining factor for search engine rankings. Here is an example of how Google could serve results influenced by Previews from within the SERP: The preview of the website would be shown in the SERP and then the mouse hovering over the page could be timed in relation to the click-through ratio. This could be serving results based more on the user’s evaluations of the website image and content from the SERP. The users see what they like and they click through. These types of results could be tied to U.S. Patent 7756887 (notice the illustrations on pages four, five and six of the document). No Meta Information Required Now? 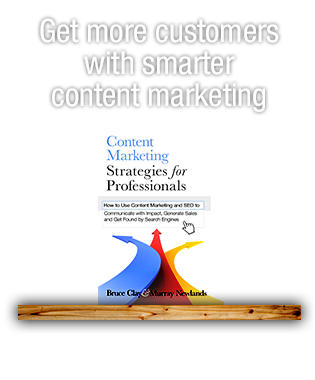 Google Instant Previews doesn’t need Meta information to determine the content that is relevant to the queried word or words. Let’s look at an example. The search query for the word “coffee” shows a preview pane with text results for the keyword magnified and bolded in the SERP to give viewers a better idea about the site’s relevance for the queried word. As Google Instant Previews continues to increase click-through rates and drive conversion, we will see a push to serve more results based on previews. If that is the case, there will be new criteria to take into consideration for SEO as conversion/user experience may become driving factors in directly influencing the SERP. Below is Google’s instructions on how to optimize for Instant Previews. What advantage would Google have by placing higher value on previews? More accurate search results: By allowing the user to decide the relevancy of a Web page before click-through, the results served will be more accurate by default. More money: By serving the most accurate results faster and easier, people will use the Internet more, which will in turn drive revenue. Reduce spam: The accuracy of the results will likely make it more difficult for spammers to artificially influence search results. 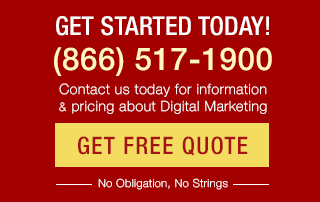 More conversions: By improving conversions on the Internet across the board, Google will increase revenue by default. Now it’s necessary to create your site with Google Instant Previews in mind, utilizing larger font, compelling graphics and offering special incentives to entice the click through. We may see sites optimized by utilizing “billboard” style ads as people navigate through the SERP, quickly passing over sites that don’t compel click through. One possible solution to creating a more viewable SERP preview is by using a light box as seen below. Remember, Google’s main concern is to capitalize on the services that drive revenue. Google’s biggest potential money makers are Google’s local search and PPC. Local, Google local in particular, has been called the phonebook killer. Google continues to set itself up to capitalize on local business. How? Through Google Places and Google Tags. 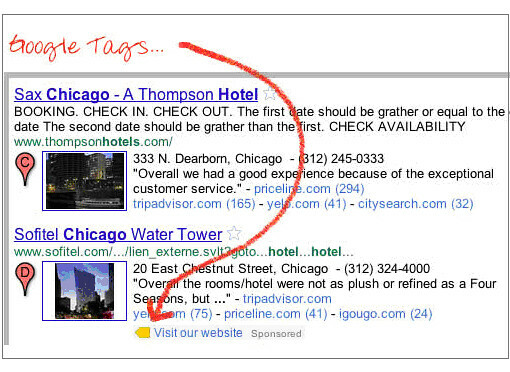 Google Tags is going to be the PPC for local search. Easily and inexpensively highlight your listing on Google from Google Places. You will be charged a low $25 flat monthly fee, with no bids and no keywords required. There is no additional work or ongoing management is needed. If you are not looking for localized results, then your eyes are forced to the right. Why? Because PPC can often be nationally targeted and it’s commerce driven. Google has two ways to benefit from this financially: 1) Per click and 2) Google Checkout. Just as recent Google algorithm changes have begun pushing search engine traffic toward paid and local results, Google began offering exclusive incentives to Google Checkout users [Hmmm, let’s ponder how this will all tie into Google’s Boutiques.com and Google Shopper for Android. – Jessica]. Google’s efforts to make PPC ads more appealing has given way to coupons only available through Google Checkout. The ranking system is also an alluring feature designed to capture the trust of Internet users and drive more revenue dollars to PPC from both the consumer and the merchant side. The trust components of Google Checkout will also improve the advertisers’ click-through ratios and then in turn, compel more advertisers to switch to Google Checkout for online merchant processing. This is a win-win situation. When trying to understand the reasons behind these dramatic changes to the search engines, it’s important to remember why any company does what they do. The bottom line: To improve the products and make more money. Although the jury is out over whether or not the new changes are improving the experience of the user [We’ve been hearing mixed reviews from our social media communities. –Jessica], you can be sure that Google is constantly testing its product and pushing the delicate balance between making more money and making a better user experience. Google is a shrewd veteran that does not likely make changes that aren’t related to bettering its financial situation; thinking anything else would be a bit naïve. As SEO analysts, much like detectives in a crime scene, we are challenged to uncover the mysteries of an occurrence and then provide solid evidence to build a case. And recent changes to the Google SERPs make this a big case. Like detectives in a murder investigation trying to establish a motive, we have to keep our eyes on the prize and follow the money trail. 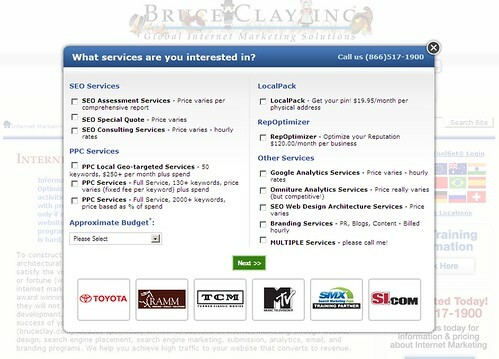 Sean James joined Bruce Clay, Inc. as an SEO Analyst in 2009. He is also a Google Analytics-certified professional. You can reach him on Twitter @_SeanJames. Much appreciated compliment. I think that instant preview was the only change to roll out that happened that was NOT intended to drive more traffic to PPC! Nope, I think that Instant Previews is part of a far more sinister plot. I will not speculate but keep a close lookout at it over the next few months. Super solid points to ponder. Google has absolutely been letting us know who owns the SERPs lately. I’ve been hearing the claim that Instant + Previews was done just to drive more traffic to sponsored ads. I don’t agree with that claim and it was even said by Google that instant had little change on ad revenue. How many of you, like me, shut off instant and previews immediately? Great article. There has been so much that has taken place in the last 6 months. From the Ybing allience to google turning the SERPs upside down. 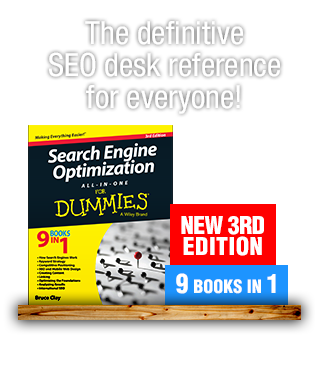 SEOs must keep thier eye on the ball and keep up with all the changes happening. Excellent case for the Google Optimizer. Beyond the shadow of a doubt this new wave of changes, makes your home page the #1 page to run split test or multivariate testing on right now. Can someone say case study? I don’t know if anyone is trying this out yet. I think that this may be a Bruce Clay exclusive FREEBEE… I hope that it helps. Really enjoyed this and it couldn’t have come at a better time. We’re currently have a client who is wanting to experiment with some on-page design changes to really grab the attention of the person viewing the preview…anyone else trying this out? Thanks for this summary Sean. Love the Detective metaphorand opening paragraph. Nice writing style. Still trying to work out how to get the snippets to show on some sites where text isn’t showing as this seems to be a big plus if you can get the right text showing (a mini-text ad within the image is cool). I can see preview as being a response to Bing’s success with it and yes it will help decision making because first impressions count. I wish I had my old SERPs back… from an SEO standpoint some of the local phrases are just a total write off to target for example Victoria BC Hotels. There are 2 organic results and 8 places results, and 6 of those places has 200+ reviews. And long live the meta description as there is always the elusive long tail to target. Thank you for the kind words. I did get word that Google is working on flash support for instant previews as we speak. Good news! Good post. One other thing to consider when optimizing a website for Google Instant Preview is the lack of support for Flash animations. Flash animations as hero graphics at the top of your website will not be visible in Google Instant Preview. Flash will not load and your logo & brand message will be missing, potentially reducing your click through. Always have a backup graphic in place for non-flash. All that I will say is that if everyone could create a site without having to know how to optimize tags who would or could benefit that the most? Think about it..
We will keep a close eye on the Meta information over the next couple of months. Like I have said speculation is dangerous but I can see that it may be possible for Google to bypass this information already. Only time and due diligence will tell. As a secondary disclaimer, the comment about meta information was purely hypothetical and I was in no way a suggesting to change or alter traditional BCI best practices for meta information. Thank you for the compliment. I agree with you that meta data still has it’s place. I think that overall what is kind of frightening is the possibility that in time it would be more beneficial for Google to be able to bypass this information as it would make the web far more accessible to more users. I think that the groundwork is there to make such a transition possible if in fact the benefits are significant for Google. Good article. I’m not convinced yet that META Description (or other tags) is not needed, simply because some of it is still displayed in the SERPs. And nothing is perfect – Google may not always manage to highlight the right text, for example and I think we assume that Google will always be right. A site may be relevant with no text highlighted. However, the drive is on to improve the visual impression of websites to attract people to click in the first place and improving the quality of websites can only be better for the web. Thank you for the support. All fine lines to walk between improvement and greed I suppose but such is the nature of business! Thanks for a great post Sean. It’s the name of the game I suppose, keeping up with Google and improving your SEO and Online marketing strategy is what we as SEO’s and online marketers have to do. Google is trying to do what they’ve promised by giving the user the most accurate information according to their search queries and doing it fast. There has been quite a few out there recently that have been saying that Google seems to be getting greedy, but as you say, the bottom line for any business is to improve their product and make more money.